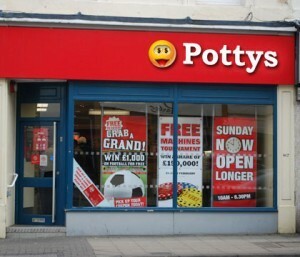 So the season’s over my Potty Punters but I ain’t going to leave you that’s for sure, here at Pottys Bookies a summer of football is heading our way and we are going to be part of it, ok? GW38 saw “The Final Flurry” Competition close the curtain on the Barclay’s Premier League but one lucky punter opened them same curtains and shouted “4 Pork Chops a £1”. Yes his 7 players that were Gerrard/YYT/Suarez/Dzeko(Cpt)/Bony/Lukaku and Lallana gained him a superb to total of 49 points. So….McBUTCHER…… McBUTCHER…..your a Potty Winner. Now e-mail me please prctrdvd@gmail.com Well done mate. This weekends showpiece means you must predict the following, enter as many times as you wish folks. 1. Time of the first goal scored? 2. Name of the first goalscorer? 3. How many yellow cards will be shown? 4. Predict the crowd attendance? 6. Time of the first streaker/fan on the pitch. Pottys Plonker of the Week- This lands in the hands of the Lad who can’t pop a Bubble, he selected 7 West Ham men in last weekends Comp and he totalled with a Captain a massive 12 points, yes I give you on a silver platter….. Elleffcee. Paloma????? ???????? PD-800WV-75GJ-LP ?????????????????? ???????? ??????????????????????????????????75cm????????? http://thecommoditycodehq.com/wp-content/audio/millshop-search_201572011202933779.html???????!? ???? SZRA50BT2???? ??? ? ?200V ????? ??????? ECO ZEAS?????? ?